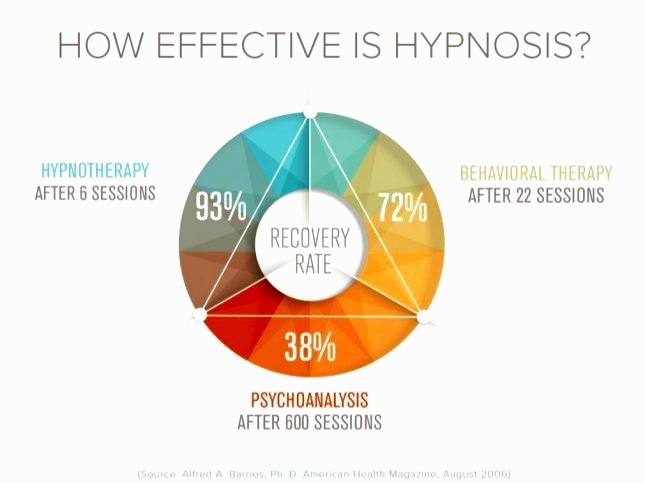 Hypnosis is a powerful process of mental focus and physical relaxation that allows you to access the healing resources of your subconscious mind. Most of us enter into a light hypnotic state many times throughout our day, when we are doing something routine such as driving a car, listening to music, daydreaming or reading a book. Techniques such as progressive relaxation, direct suggestion, guided imagery, and active imagination are used to help you enter a hypnotic state. A hypnotic state is a state of consciousness where you are alert and, at the same time, very relaxed. It is during this relaxed state that you become more responsive to ideas and suggestions which allows you to begin focusing your mind on your desires and goals. Hypnosis is perfectly safe and gentle. The hypnotic state is a pleasant experience of feeling relaxed, aware, and focused all at the same time. The subconscious becomes free and receptive to new information, allowing your subconscious to accept positive and beneficial suggestions, to release emotional blocks that have become the obstacle in achieving your goals, and to transform old habits and patterns into new and constructive patterns. The initial consultation with a new client may take up to 30 minutes. At this time we will discuss your goals and how hypnotherapy can help you. Based on research and the experiences of my clients, I have found that 10 sessions is the optimal amount for you to walk away from our work together with the greatest transformation. Not only will you recognize that the presenting issue has been resolved but your internal programming has been optimized. You may even feel significant results after only one or two session, but I want you to be able to change your life! Understanding that you may not want to jump in with both feet and commit to the full 10 sessions, I have therefore created other options for you: 3 and 6 session bundles or there is the option of Group Hypnosis.